We are well past the holidays now so I can post paintings that were commissioned as holiday gifts. This is Lucy, beloved ranch dog and family member. 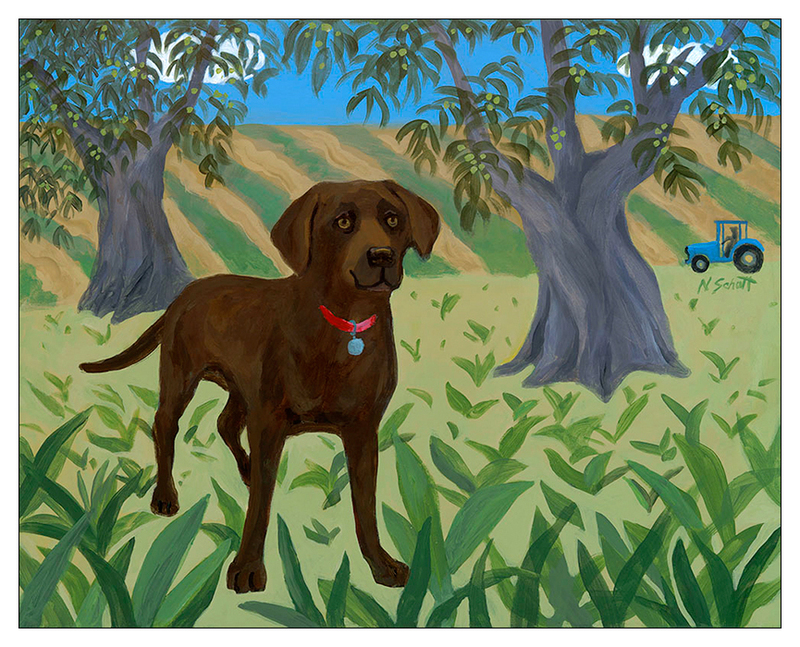 Lucy lives on an olive ranch in California and was a gift from the kids to the parents, who own and operate the ranch- with Lucy's help. Lucy's main squeeze is in the background working on the tractor. One of Lucy's jobs is to make sure he takes breaks- to throw the ball of course.